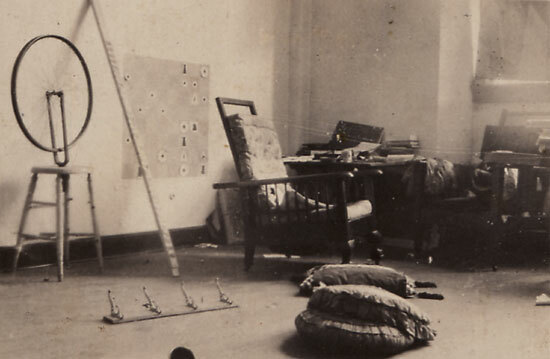 On the occasion of READYMADES BELONG TO EVERYONE, please join us for “At Home with Duchamp,” a lecture by Helen Molesworth. This event is now at capacity. Should you wish to join our waitlist, please send an email to rsvp@swissinstitute.net with the subject line: Waitlist – Helen Molesworth. Thank you! From 2014-2018 Helen Molesworth was the Chief Curator at The Museum of Contemporary Art (MOCA), Los Angeles, where she co-organized the first US retrospective of the Brazilian artist Anna Maria Maiolino and the monographic survey Kerry James Marshall: Mastry. She also reinstalled the museum’s esteemed permanent collection in all of its flagship Grand Ave. galleries and organized the large-scale group exhibition One Day at a Time: Manny Farber and Termite Art. Molesworth has also served as the Barbara Lee Chief Curator at the Institute of Contemporary Art (ICA) Boston, head of the Department of Modern and Contemporary Art at the Harvard Art Museum, chief curator of exhibitions at the Wexner Center for the Arts, and curator of contemporary art at The Baltimore Museum of Art. She is the author of numerous catalogue essays and her writing has appeared in publications such as Artforum, Art Journal, Documents, and October. The recipient of the 2011 Bard Center for Curatorial Studies Award for Curatorial Excellence, she is currently at work on a book of essays about what art does.